The Arc Weld Collar Stud features partial external threading that starts at a point above the stud’s collar. The collar creates an offset than can be used for mounting of mating components or for the creation of a stand-off. These studs are welded using a standard arc weld process. An arc weld process is generally used in those applications that required welding of larger diameter weld studs to thicker base metals. These studs are flux-loaded at the weld end to facilitate the welding process. These industrial fasteners are available from JHP Fasteners in a variety of materials, dimensions, and thread sizes (inch and metric). Note: A wide variety of stud body lengths, body diameters, and collar diameters also available. The arc weld collar stud is attached using standard arc welding techniques. A weld gun lifts the weld stud away from the base metal surface while a power source generates a controlled electric arc. The electric arc melts the end of the stud as well as a portion of the base metal. The weld stud is then plunged into the molten metal. This process creates a high-quality weld joint. During the arc welding process, a small portion of the weld stud will be burned away. Therefore, the post-weld stud length will be slightly shorter than the pre-weld length. This fact should be taken into consideration when selecting an appropriate stud length. The arc weld collar stud is a good choice for those applications that require a sturdy weld stud that will serve as a stand-off, or as a device for attachment of mating components. This weld stud can be used in a wide range of industrial applications. We invite you to take advantage of our broad range of industry experience and expertise. We will take the time to answer all your questions in full and provide you with the guidance necessary to facilitate your choice of the appropriate industrial fastener for your specific application. Excellent customer service, a broad product offering, and competitive pricing are just a few of the tangible benefits of doing business with JHP Fasteners. 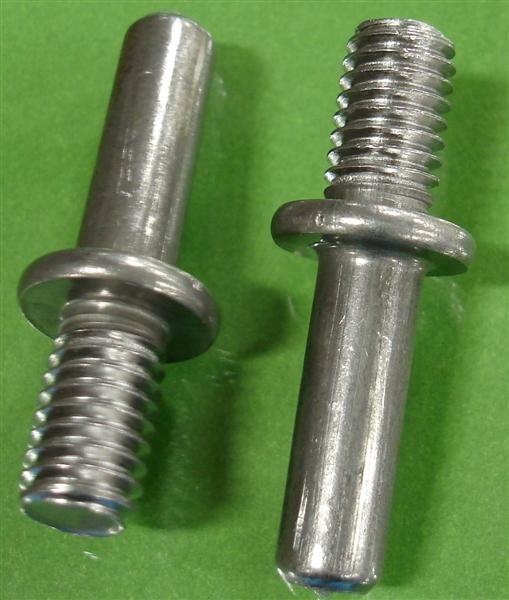 Contact us for Partial Thread Arc Weld Studs – Inch / Metricany industrial fastener requirement you may have. We will work hard to win, and retain, your your business!